Last Updated: September 3, 2015 | Subscribe to our weekly newsletter! Hot tubs are truly wonderful when they are working properly. There is nothing quite like feeling those jets churn that warm water as you sit back and relax after a hard day at work. Of course, if your hot tub isn’t working properly, it can be quite frustrating, especially if you are not an expert at hot tub repair. One of the most common problems you will experience at one time or another is a problem with your hot tub jets. Whether you are an expert plumber or don’t know which way to hold a wrench, it is still possible for you to troubleshoot hot tub jets yourself before you call in a potentially expensive repair expert. Today, we will take a look at some of the most common problems with your hot tub jets and what you can do to repair them. It is important to note before you begin any type of hot tub repair make sure that you disconnect any power running to your hot tub. Your jets use electricity to run but as you know water and electricity don’t mix all that well. So if you don’t want to get the shock of your life, cut the power before you begin to troubleshoot any problem you may be having. Let’s take a look at some of the most common problems you will encounter with your jets and what you need to do to repair them so you can begin to use your hot tub again. One of the most common problems people experience with hot tubs is the mobile jets become fixed. This is most often caused by hard water. When your water is hard, it means that there is an excess of calcium present in the water. Over time, this calcium will buildup on the jets and even in your plumbing. Once enough calcium has built up, it can freeze the jets in place and even begin to reduce the water flow through your plumbing. In order to repair this problem, you will first need to test your water If you click this link and make a purchase, we earn a commission at no additional cost to you. to see if it is too hard. If it is, you can try using a descaler If you click this link and make a purchase, we earn a commission at no additional cost to you. . If that doesn’t help, you can try draining your hot tub and refilling it. Once you have refilled it, test the water again to see if it is hard. If it still is hard, the only solution available is to install a water softener on your hot tub. If you find that your jets have no pressure, it is possible that air has gotten into your system. This often happens after you drain your hot tub and then refill it. 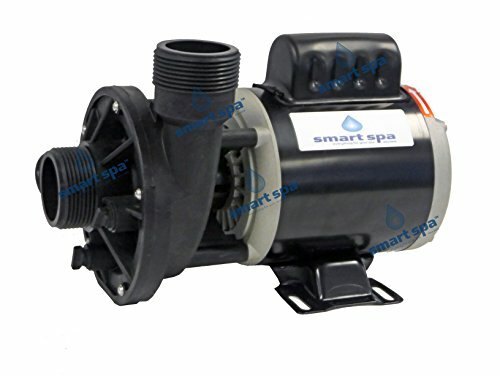 Air gets trapped inside your pump and causes it to lock by preventing it from gaining any traction on the water to move it through your hot tub’s system. To get rid of this excess air, you will have to bleed it from your pump. On your hot tub you will find a discharge pipe. To bleed the air from the system you will need to loosen the coupling on the pipe. Only loosen the coupling, do not remove it. If you remove it, you may not get it back on due to the pressure from the pump. Turn the pump on and listen for the air to be expelled. Normally you will hear a hissing sound. Once the air has been removed you should see a column of water coming from the system. Tighten the coupling and you are ready to use your hot tub. Also, make sure you keep your jets clean If you click this link and make a purchase, we earn a commission at no additional cost to you. to prevent any kind of buildup from impeding air flow. In some cases your hot tub jets will fail to pump properly. When this happens you will often notice that they pulsate instead of provide a steady flow of water. When you experience this lack of water flow, there could be several possible solutions to the problem. The first thing you should check is the water level of your hot tub. Make sure it is filled according to the factory specs of your hot tub. If the level is too low, air could be finding its way into your system causing the jets to pulsate. If your water level isn’t too low, it could be time to check your filter. If your filter has become too dirty or clogged the water will not be able to flow through the system properly. Remove and clean your filter If you click this link and make a purchase, we earn a commission at no additional cost to you. , or even replace it If you click this link and make a purchase, we earn a commission at no additional cost to you. if is worn out. Replace the filter and turn your system back on and check the flow. If it is not the filter or the water level, you could have a more serious problem. It is possible that you have a blockage in the lines of your hot tub. Check the lines to see if you can locate a blockage. If no blockage can be found, chances are the pump on your hot tub is shot and will need to be replaced If you click this link and make a purchase, we earn a commission at no additional cost to you. . If you have gone through this guide and tried to figure out the problem with your hot tub jets but you are still unsure, don’t be afraid to call in the big guns. There are many service technicians that you can find at your local pool and spa store that can help you diagnose the problem if you are having trouble figuring it out on your own. Remember, don’t go in there blind. Hot tubs are expensive and if you are not confident in what you are doing you could make things even worse. The goal is to get your hot tub repaired so you can start enjoying it again. So even if you aren’t Mr. Fixit you can still at least point the repair guy to the right place. There is nothing worse than trouble with your hot tub. 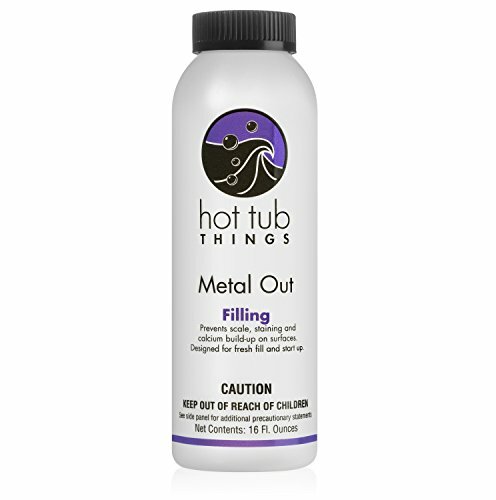 In many cases, the hot tub jets are where you will experience most of your problems. The problems we listed above are the most common problems you will encounter so if you want to try to do it yourself, you have your guide right here. However, if you aren’t confident in what you are doing, don’t try to perform the repair. You could turn your minor problem into something way more serious and way more costly. 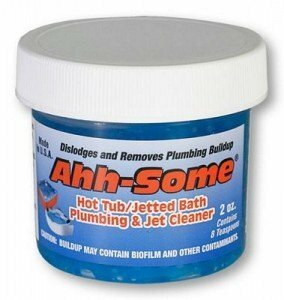 That being said, if you do like to take care of your own equipment, then this guide is the best place for you to be to get started on your hot tub jet repair.